Freestyle Djembes by Toca are one of a kind. 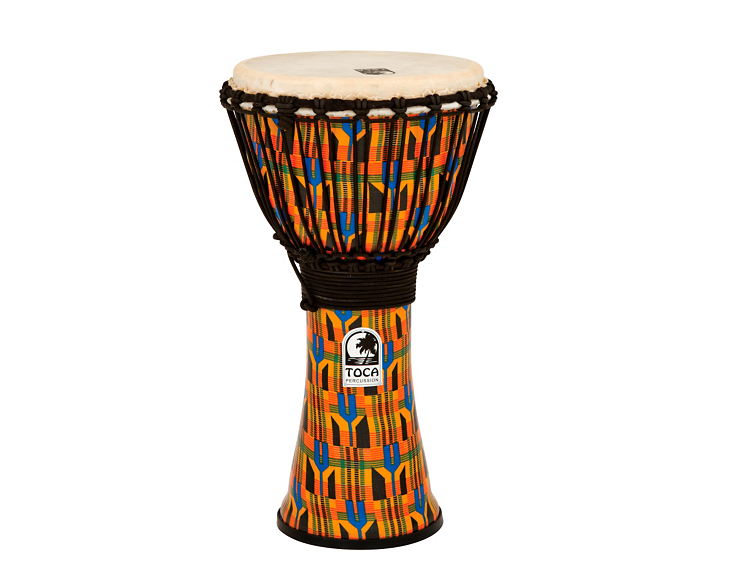 The design offers a lightweight feel and durable shell with a Kente pattern finish and the same great sound as Toca's wood Djembes, with a slightly higher tone. They are the perfect choice for drum circles, percussive gatherings and classrooms because of their durability and portability.